Protect your car from scratches! Solutions and precautions! 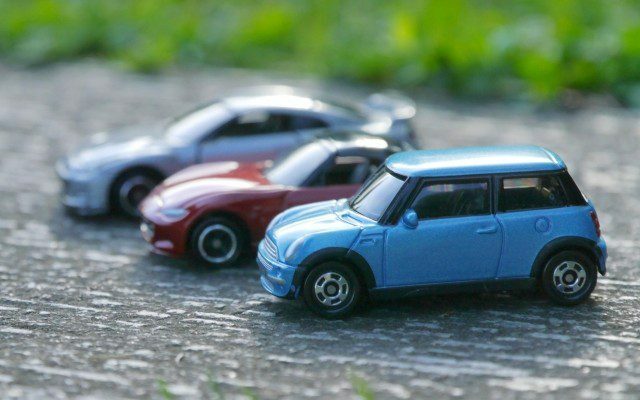 How do I protect my precious car from scratches? Some of you happens by your mistake like above. For these scratches, you can prevent some of them by your cautions. However, actually almost all of scratches on the car body which is impossible to prevent completely. 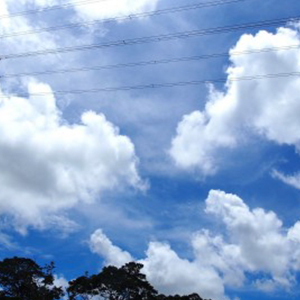 For example, scratches which are got in driving, taking off, due to weather and animals… it is impossible to control all of them even though you are be careful. However, you don’t drive your car not to get scratches, do you? Then, how do we deal with them? This time we would like to introduce about the reasons, solutions and precautions for each. We said just “scratches” when we explained, but there are many types. In this section, we would like to explain about its differences and each fears. These are lines like cat’s nail marks. There are possibility to get these when some hard materials like a coin or key hit the car body. Around a doorknob are many small scratches because drivers take out and put in the key. If the scratches are not so serious, you can deal with them by some easy ways such polishing and applying car coating (to hide them). These are for wide area. Have you ever seen a white car which has black grazes slightly on the corner? 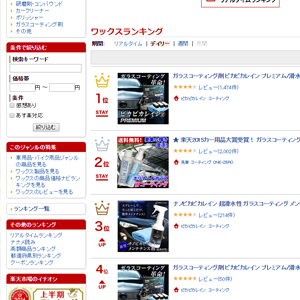 The car gets these when the car scraped the wall or obstacles (electric light poles, crash barriers, vegetation …etc.) or crash two cars. These can be recovered by polishing, too. It cannot help making scratches when you drive by sands and stepping-stones. 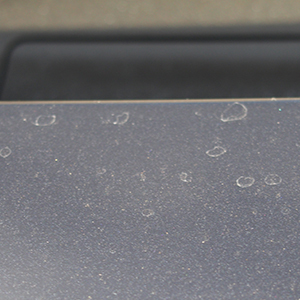 Regard as sands, these could be scratches during car wash. Regard as steeping-stones, these could damage the car paint surface when these hit to the car body. For the parts which get whitish by stepping-stones, please recover with a touch pen yourself or ask professionals for serious ones. The battered car body by the huge impact. Sometimes these can be recovered when you pat from the other side, but if the dents are serious, there is possibility to exchange all parts. However, sometimes the paint surface comes off even the dents are not serious and in this case, repainting is also necessary. These are more serious and wider than dents. Of course it looks bad and you should better to deal with it as soon as possible for safety and maintenance. If you leave the water on scratches or iron fillings, it becomes rust. Not only brown rust adhere to the car paint surfaces, but also it is eaten by rust if you leave for a long time. Before rusting, it is possible to recover with chemical products such as an iron fillings remover or a rust remover. A polishing machine can solve many types of scratches! If you try to remove scratches which cannot be removed by washing by force, the car body will damage. Of course there are removers in the market, but it is troublesome if you use different products for different types of dirt. 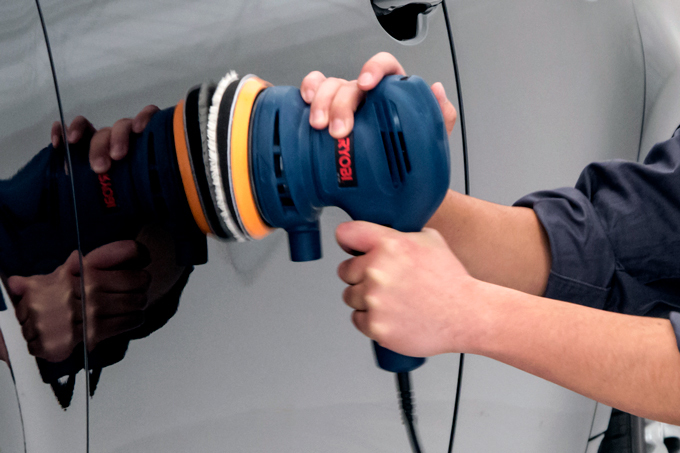 Someone who wants to make whole of the car body beautiful quickly, we would like to recommend polishing which is using compound and a polishing machine. 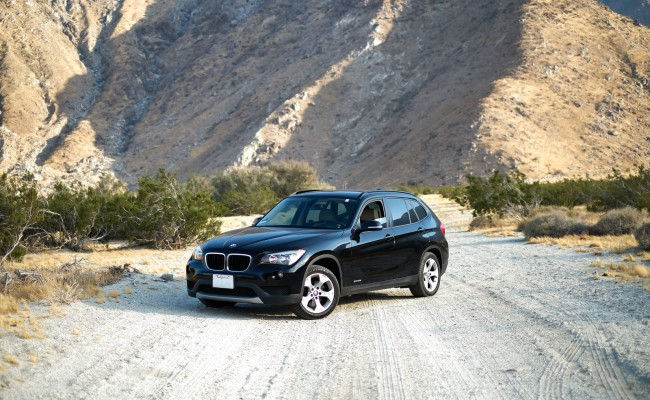 Some car waxes in the market content compound, so these can be one way to remove slight scratches, but it depends on the color, so if you own different colors cars, it should be costly. 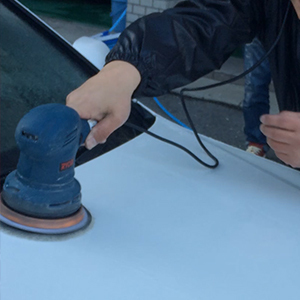 Moreover, almost all of car wax is only for polishing by hands, if the dirt is expanding, the work must be so hard and applying only car wax is not so durable. Therefore, you need to reapply the car wax regularly, so polishing the car body with compound is faster for removing scratches. Then when you polish the car body with compound, we would like to recommend using a polishing machine than polishing by hands. If the scratches are partial and removable by polishing with compound a little, polishing by hands would be fine, but if you polish the same parts for a long time by force, there is a high risk such polished too much or color irregularity due to friction. If you use a polishing machine, you can polish evenly and can finish the work much faster than polishing by hands. However, you have to be careful when you use a polisher, too. First if you don’t have enough experiences of using a polishing machine, you should better to use a “double-action” type. In fact, a polishing machine which is used by professionals is a “single-action” type which has stronger power. But it is difficult to handle, so there is possibility to polish the car body too much. Therefore, we wouldn’t like to recommend it for beginners. A “double-action” type can move up and down, left and right. It is difficult to get scratches and the friction heat can be cut down. You can get a polishing machine at a home centers, so please consider about it when you apply compound. Let’s reduce the damage to the car body by ceramic coating! 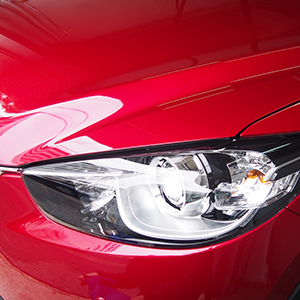 Let’s protect your precious car from damages by applying ceramic coating. There are many good points of ceramic coating. It can last the beautiful condition at once you apply you don’t have to apply it many times like car wax. Moreover, the water repellency will get better, so it will be difficult to adhere water spots after raining. 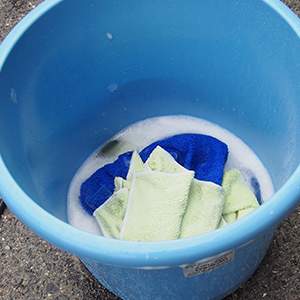 Also washing dirt off and drying will get easier, too. 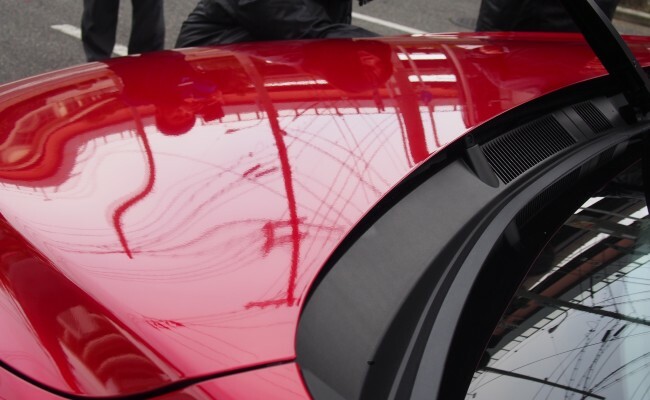 In this section, we would like to explain how to apply Pika Pika Rain Ceramic Coating. The first step is basic car washing. Please splash the water to the car and wash adhered dirt and dust off. Then please wash it with car shampoo. At this time, please wash with a soft microfiber cloth not to damage to the car body. Next, let’s check the car condition! 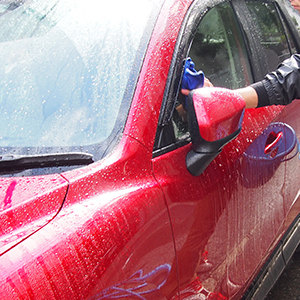 If you start applying even though scratches and dirt remain on the car body, they will be coated all together, so please do preparation and clean your car. If there are any scratches and water spots, you can skip this step. As we said above, compound is an ideal tool for scratches. Please polish scratches and water spots and make the car body beautiful. Pleaser remove the oil on the car body with Pika Pika Rain Oil Remover. It is not necessary, but we would like to recommend to do this, because Pika Pika Rain Oil Remover makes fixing much better even though a brand new car. Finally, you can start to apply ceramic coating after above steps. Please put a few drops of Pika Pika Rain Ceramic Coating liquid (only for the beginning, about 6 drops) on a sponge and spread it thinly. After you applied, wiped the liquid with a microfiber cloth. If you don’t wipe well can be reason of foggy finishing, so please check the results well during wiping. Also please repeat this step in every small parts. If apply it widely at one time, the liquid dry before wiping and it is easy to be fogy finishing, so you have to be careful. Above is how to apply Pika Pika Rain Ceramic Coating. However, there is one thing which you should be careful. Please make sure that you don’t have to wash your car anymore even though you applied ceramic coating. Therefore please don’t forget that car washing is necessary even though you applied ceramic coating. Moreover, please don’t misunderstand that your car won’t get scratches anymore. The performance will get lower than when you applied it when your car got scratches. Please apply the ceramic coating with your understanding about it! Got scratches on the ceramic coating! What should we do? Ceramic coating has a hard layer, but it cannot help getting scratches. 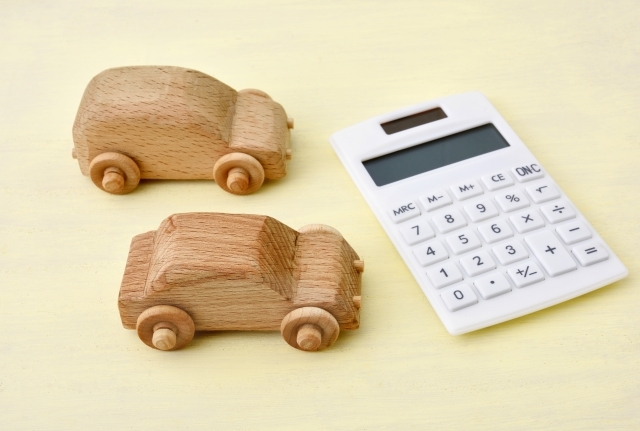 First, trying not to get them is important, but we would like to introduce solutions when your car gets them! Please wash rough dirt with a plenty of water. 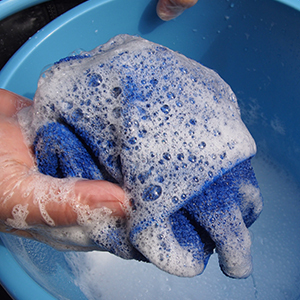 If you wash a car with a microfiber cloth or a sponge which has rough dirt on the car body, the rough dirt is drug and it causes scratches. Also please use a soft cloth as much as possible. A microfiber cloth is the best. 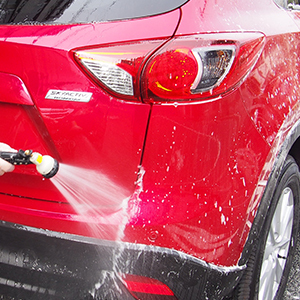 Finally, please wash your car by hands as much as you can. If you wash it with a mop or a car wash machine it got slight scratches due to stepping-stones. 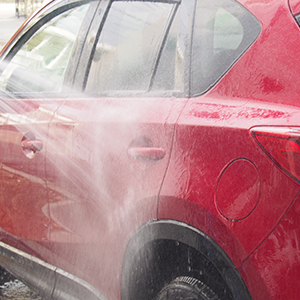 If you have to use a car wash machine at any cost, a high pressure car wash machine is fine. Please don’t apply the ceramic coating by force. Ceramic coating is different from car wax, so it is better to imagine that making another layer on the car body. Applying it by force causes scratches. You don’t have to apply Pika Pika Rain Ceramic Coating by force in the all steps. For slight scratches, reapplication of ceramic coating is recommended. Ceramic coating doesn’t have an effect of removing scratches, but the liquid is filled up in unevenness parts, so it can make the scratches less noticeable. For scratches which reach to the clear layer, it is difficult to hide by ceramic coating. In this case, removing scratches is the only way. However, if you polish with compound, the ceramic coating is polished together. You should better to reapply it to the parts which you polished. By the way, if scratches are very deep such reach to the car paint surface cannot be removed by polishing with compound. 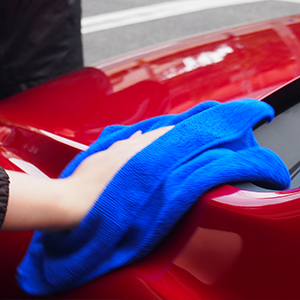 Let’s prevent scratches by daily maintenance! We explained a lot, but we must ask you to make sure “there is no way to prevent scratches completely”. However, please remember that the damage from scratches can be reduced by some good tips, too. 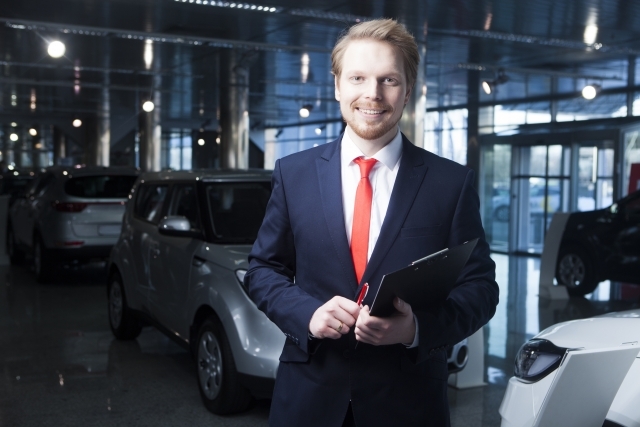 We totally understand you want not to damage your precious car and want to do everything for it as much you can. and when it gets scratches, please recover them. Please don’t be too much nervous, just think “A car gets scratches in the end”.